The front room of the Shannon ranch. Photo taken by Bruce Barnes. The kitchen area of the ranch. The photo was taken in the 1950s. 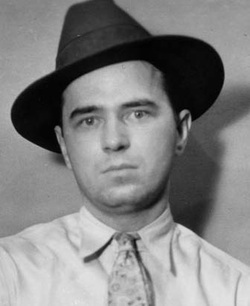 Kelly remained at Leavenworth Penitentiary until October 1934. He was then transferred to Alcatraz, along with Albert Bates and Harvey Bailey. There, Kelly would be joined by several familiar faces from his career — Tommy Holden, Jimmy Keating, Eddie Doll, Eddie Bentz, Alvin Karpis, "Doc" Barker and, even Al Capone. Kelly was a model inmate at Alcatraz and worked in the laundry. He became a bible student and sent several remorseful letters to Charles Urschel begging for forgiveness and asking him to intercede on his behalf. Remembering the vicious death threats he and his family received, Urschel was not in the forgiving mood. A documentary produced in England claimed Urschel, in search of the money that was still missing, visited Alcatraz and stood outside Kelly’s cell staring him down in an effort to get him to confess to where the money was. Also corresponding with Urschel was Bates. He, too, got nowhere with the angry oilman. Bates was the first of those convicted in the kidnapping to pass away. He died on Alcatraz July 4, 1948. Robert G. "Boss" Shannon received a pardon from President Franklin D. Roosevelt in 1944. Although the reason for the pardon was "owing to ill health," the old Democrat lived another 12 years. Returning to his ranch in Paradise, Texas, Shannon was hoping that oil would be discovered on his property and had written several letters to Kathryn telling her he was close to a major strike. Bruce Barnes visited the now ramshackle ranch in the mid-1950s and wrote that, "After 12 years in prison, he (Shannon) was a basket case." 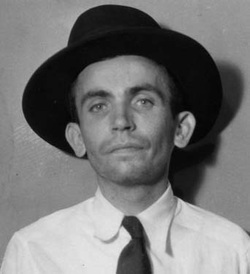 "Boss" Shannon died on Christmas Day 1956 in a Bridgeport, Texas, hospital. 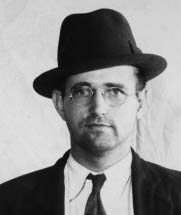 Harvey Bailey, who was the only person convicted that didn’t participate in the infamous kidnapping, was paroled in 1961. Vengeful Kansas State authorities re-arrested him for a bank robbery he had committed in 1933 and Bailey was sent to the Kansas Penitentiary until 1965. He spent his last years in Joplin, Mo., working as a cabinetmaker and helping to write a book about his life, "Robbing Banks Was My Business." Bailey died in March 1979, at the age of 91. Kelly’s former brother-in-law, Langford Ramsey, died at the age of 78. Ramsey, at the time he passed the Tennessee bar, was the youngest ever to do so. For his role in going to the Coleman ranch and returning Geraldine Arthur to her parents, he served two and a half years in the Atlanta Penitentiary. Other people who played a peripheral role in the kidnapping — Louise Magness, John C. Tichenor and Cass Coleman — served varying lengths of prison time. Bruce Barnes said Kelly’s first son, George Jr. (Sonny), never forgave his father for the physical and mental abuse he suffered. He always felt embarrassed about the "notoriety" that was inflicted on the family. George Jr. married and had five children, three of whom died from muscular dystrophy. On June 6, 1989, George Jr. died of a massive heart attack while on his way to his grandson’s graduation. According to Barnes, Kathryn’s daughter, Pauline Frye, "grew up to be a fine professional woman with high moral standards and a commitment to serve humanity." Other people associated with Kelly have also passed away over the years; some by natural causes … some not. Harvey Bailey’s bank robbing partner, Wilbur Underhill, pulled off a series of bank robberies after his escape in May 1933. 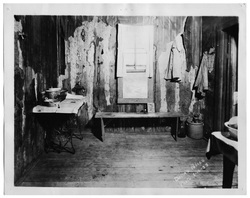 Honeymooning in Shawnee, Okla., in December 1933, Underhill was fatally wounded by police and FBI agents while hiding with others in a cottage. The girlfriend of one of his partners also was killed in the shootout. Neither Kelly, nor Bailey were ever charged in the Kansas City Massacre. By the time the kidnapping trial was over, the FBI had moved on and was falsely identifying "Pretty Boy" Floyd and Adam Richetti as Verne Miller’s accomplices. Miller was found murdered outside Detroit on Nov. 29, 1933. The FBI killed Floyd on Oct. 22, 1934, in Wellsville, Ohio. One day earlier, Richetti was captured near Wellsville. He would be the only person to stand trial for pulling a trigger in the Kansas City Massacre. After being convicted, he paid with his life in the gas chamber at the Missouri State Prison at Jefferson City on Oct. 7, 1938. Tommy Holden left Alcatraz in 1948. Some time after moving home to Chicago, he got into a drunken argument with his wife, which resulted in the murder of her and two of her brothers. Placed on the FBI’s Most Wanted list in 1950, Holden was captured in Oregon in 1951. He was sentenced to 25 years in the Illinois State Penitentiary in Joliet. Suffering from health problems, he was transferred to Stateville Hospital where he died of a heart attack in 1953. Holden’s bank robbing partner, Jimmy Keating, chose a different path. Keating was a hard worker in both Leavenworth and Alcatraz, and received high marks in both prisons. At Alcatraz, his disciplinary black marks included such minor offenses as making faces at the guards, laughing too loudly in the mess hall, playing baseball in the prison yard, and taking an unauthorized bowl of ice cream. In 1948, Keating was released and moved to Minneapolis. He worked at a florist shop during the 1950s. During the 1960s and 1970s, Keating became a successful organizer for a St. Paul machinist’s union. He also remarried and became a grandfather. By July 1978, Keating was living in a nursing home in St. Louis Park, Minn. He died there at the age of 79. Kathryn Kelly told the authorities that if she weren’t housed with her mother, she would use her influential friends to get herself released. Kathryn was first placed in a federal facility in Cincinnati. During the mid-1950s, she served time in a prison in Alderson, W.V. Later that decade, she was in Milan, Mich. In Milan, Kathryn wrote poetry and articles for the prison newspaper. She eventually became the assistant editor. Kathryn and her mother, Ora, were released from prison in June 1958, on a $10,000 bond. Kathryn had hired a new attorney who filed an appeal claiming the government’s case was based on the handwriting expert who testified she had written the ransom note and the threatening letter to the Urschels. The handwriting expert was not an FBI expert but rather an individual who had been hired by the U.S. attorney in Oklahoma City. A memo in the FBI files, dated Sept. 22, 1933, four days before the capture of the Kellys, stated the FBI’s handwriting expert determined that Kathryn had not written the notes. Kathryn was not allowed to call her own handwriting expert to refute the testimony, and the FBI suppressed its own findings. This revelation was brought to the public’s attention by former FBI Agent William Turner is his book, ‘Hoover’s FBI: The Men and the Myth." A new trial was granted Kathryn and when the FBI refused to release their files, she was set free. Kathryn’s mother was placed in the Oklahoma County Home and Hospital in Oklahoma City. Wishing to be near her, Kathryn found a job there as a bookkeeper. She lived on the property, eventually becoming a recluse. In 1951, George Kelly was transferred back to Leavenworth, where was assigned to the furniture factory. On July 17, 1954, he died of a massive heart attack at the age of 54. "He was cowering in a corner with no gun handy," the FBI man said. "His face twitched and got white. He was whimpering. He lost his bravado. He reached up his hands toward the ceiling, trembled and said, ‘Don’t shoot, G-Men, don’t shoot.’"
Old myths never die, they just get embellished. Prerhaps Kelly should best be remembered from a line he penned to his kidnapping victim. In one of his final letters to Charles Urschel Kelly wrote, "These five words seem written in fire on the walls of my cell: 'Nothing can be worth this!'" 'Boss' Shannon views the body of George Kelly in 1954.